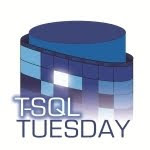 After a year of always realizing on the second Wednesday that T-SQL Tuesday was yesterday, I remembered this month and went searching early. This month I found Bradley Ball(blog|twitter) asking us to write about "Second Chances" - time to reflect upon a time we could have done something better if given a second chance or when we royally screwed up and wished we could have a "Do over". Since my "infrequently updated blog" has been idle for over 6 months now, it is probably due for an update. I've been working in IT for over 25 years. Screwing up, particularly in production can be pretty scary. My list of screw ups in that time is probably long and glorious. I'd like to say that I've never repeated the same screw up but I'm sure that I have. Making a mistake (unless your "mistake" is something criminal or your sense of humor when developing test data ends up in production) probably isn't going to be the defining point of your career - these things are things you can learn from and grow from. There's more, I'm sure, but we'll leave it there. Today's post is not just about learning from my mistakes, it's also writing about how the company I work for celebrates those mistakes. Before I go into detail on that, I should note that I work for a small company. We all seem to get along very well together. Management truly has an open door policy - walk into the office of the President, CEO or anyone else and air concerns or just chat. Every two weeks we have a brief all hands conference call where successes are celebrated, updates on new business are given and at the end of the meeting, failures are also celebrated. When you fail, you can expect to be the "proud" recipient of an "HA" award. What is an HA you ask? HA stands for "Horse's A**" (since we're dealing with a blog post probably read in places of employment, I'll employ a censor to sanitize my post :-) ). I've been with this company for over 5 years. I had done pretty well for the first 3 years and managed to avoid earning an HA of my very own. I was doing some testing on one of the development servers. I forget what I was doing at the time - but it was something that required me to stop and restart the SQL Server service (you can see where this is going already, right?). During the testing of whatever it was that I was doing, a call came in where I needed to jump onto the production server to check something out. I completed that and forgot to log out of the server. I went back to where I had left off in my testing and stopped and restarted the SQL Server Service. Within a few seconds emails start coming in about a down production SQL Server as the monitoring system starts screaming and in short order after that the phone starts ringing as users call in wondering where the ERP system we support went. Stopping the database also caused a couple of other failures downstream as other services that relied on the database also stopped because the database wasn't there anymore (and they maintained an active connection). It wasn't a huge deal to correct it and systems were back up in a matter of minutes, but there was lots to do afterwards, since every outage requires a Root Cause Analysis to be presented to the customer etc. I mentioned earlier about learning from your mistakes. This particular outage caused me to always take the time to be double sure when doing things like stopping services. Now I also try to reconfigure my desktop on production servers (is the Start Button on the left of the screen? Must be a production server). Of course in the grand scheme of things, as far as second chances go, this is a minor thing. The main reason I wanted to write about this particular incident was to "show off" the little certificate that you can earn at my place of employment for those times when you wish you had a "Second Chance". (For the record, these are awarded humorously and without ill intent, just in case you're wondering - and the transgression doesn't necessarily have to be huge to earn one, either. As Forrest Gump says, "It Happens" and when it happens to you here, you're probably getting one of these!). Until next time - may you never find yourself facing the behind of the horse! Last time we talked about using Flashback technology to run queries against our database as it looked in the recent past. This can certainly be useful, but what if it just isn't enough. What if we need to get back a table we just accidentally dropped, or recover a data screw up so bad that recovery is our only option. There are other aspects to Flashback technology that let us do just that. What we looked at last time would be covered under the topic sub-titles "Flashback Query" and "Flashback Version Query". What other options do we have available to us? Today we'll be talking about the first three on that list (we'll deal with Flashback Transaction in part 3 of the series). Let's start with Flashback Database. Much like a database recovery, Flashback Database is a physical level recovery, much like a database point in time recovery, up to and including the OPEN RESETLOGS at the end, but usually much faster because the initial recovery of the data files from backup isn't needed. In order to use Flashback Database, the Fast Recovery Area needs to be configured in the database that is a candidate for Flashback. This means that the db_recovery_file_dest and db_recovery_file_dest_size initialization parameters need to be set. Furthermore, in order to enable Flashback Database, db_flashback_retention_target also needs to be set. This parameter the number of minutes we can go back into the past and perform a Flashback Database. Once this is configured, we must also make sure to issue ALTER DATABASE FLASHBACK ON. What this will do is to start writing images of data blocks to the fast recovery area. The flashback logs are written sequentially and often in bulk. The database automatically creates, deletes and resizes these logs as needed. These logs are not archived. The only thing that the DBA really needs to know about for the flashback logs is that they exist (from a sizing of the fast recovery area point of view) and that they are adding a performance overhead to the database. The database also needs to be in Archivelog Mode for this functionality to work. When doing a Flashback Database, the database uses information in these logs, as well as some information from archive logs, in order to perform the requested operation. It is because of this that you can't enable flashback after a failure and expect that you can flashback your database to before the failure. Each of these also supports a TO BEFORE construct as well. Doing FLASHBACK TO will recover the database right up until the parameter specified. Doing FLASHBACK TO BEFORE will recover the database right up until immediately before the parameter specified. Next, let's check the status of the database as we left it after Part 1, then add a new table and populate it with some related data. Note the time stamp here. At the time that the timestamp is shown the rows have not been committed to the database. The commit does not happen until we quit from SQL*Plus, where the commit happens implicitly. So, a user gets into a database and starts deleting rows. They suddenly realize that they are in prod and not in test! The DBA comes to the rescue (after first realizing that he must shut down the database in order to perform the flashback). I've also included listings here showing the current incarnation of the database from RMAN between steps. This is where the earlier comment about the placement of the commit came into play (and also ties neatly into my earlier post this month about Transaction Isolation Levels in Oracle). Because the changes had not been committed at the timestamp specified, when the flashback database was performed, those rows are missing from the resultant database. The DBA is the hero of the hour, having managed to successfully recover the database back to pre-delete state without the large time investment of a complete database restore. Of course, such functionality needs to be used with great care in a production environment to make sure that the rest of the data you lose isn't more of a pain than the data you've already lost. One scenario that immediately comes to mind for the use of something like this would be in a large Enterprise application where Payroll is one of the subsystems in the database. The developers in this theoretical shop are in the process of making major functional changes to the code. They want to test on as close to live data as possible so they request a refresh of the test database. Being a large Enterprise level database, it takes 2-3 hours to restore the test server from backup. The developers run their test payroll but it didn't work. They need another fresh copy of the production database in order to run their test again. Before Flashback Database, another 2-3 hours would be wasted waiting for the refresh to complete. If the DBA setup the test environment for Flashback and let the developers do their testing, if they needed a fresh copy of the database in test, a quick Flashback Database later and they have a fresh copy of the data in a fraction of the time. Again, let's assume that someone has run rampant over some table in the database. The table is stand alone, with no other dependencies on other objects, so it has been determined that it's safe to roll this one table back to a point in time in the past. What does that mean? Row movement is a setting that tells Oracle it's OK to generate new ROWID's for rows being recovered in this manner (since there's no guarantee that the old ROWID is still unique). Fortunately, this is a setting that can be enabled after the fact! For our last scenario, we're going to look at recovering a table that has been dropped. In this scenario (ignoring the fact that a user shouldn't have drop rights on a table anyway), a user inserts a row into the table, realizes their error and attempts to remove it. However, instead of removing the row, they drop the table in error. The DBA puts on his red cape and once again comes to the rescue! Used with caution, the above Flashback options could save you hours of time in the event that you accidentally drop the wrong table, or have the need to perform repetitive testing on a test copy of the database where the testing causes mass updates to the data (such as in a payroll update). There are many more options to these commands than what we've talked about here. For full information, please refer to Chapter 18 of the Oracle 11g Database Backup and Recovery User's Guide. Next time, we'll dig a little into Flashback Transaction and Flashback Transaction Query. Today we're talking about Time Travel in Oracle Databases. I almost made a reference in the title and quote of this post about Mr. Peabody and the Way Back Machine but that would have perhaps shown my age - besides, quoting The Doctor is way cooler. I recently found myself in a situation where I needed to go back in time. I was rolling forward a copy of a database to a particular point in time from a backup. I needed to stop at that particular point in time because the project manager wanted me to run row counts on the 1500 odd tables in the "before" and "after" databases and I had taken the "before" at that specific point in time. During my recovery operation I fat fingered the UNTIL TIME clause and went past my stopping point. 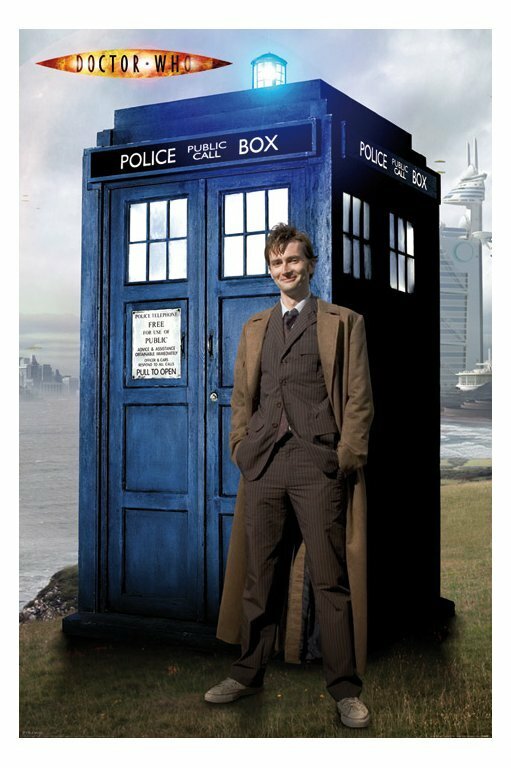 After the expected cursing had died down I started wishing I had a TARDIS of my very own. Apart from the coolness factor of being able to zip back and forth through time at will, being able to go back about 15 minutes and fix my mistake would have been a miracle in and of itself. It was then that I remembered FLASHBACK and it became my own TARDIS - Time and Relational Data in Schemas. First introduced in Oracle 9i, Flashback Query enables as to view the database as it existed at a point in time in the recent past. In Oracle 9i and onwards, this is implemented via the DBMS_FLASHBACK package. This functionality was enhanced in Oracle 9i Release 2 with the addition of the "AS OF TIMESTAMP" clause to the SELECT statement. Prior to 11g, DDL that alters the structure of a table invalidates old UNDO data, rendering Flashback Query inoperative. Post 11g, most DDL is supported. Timestamps map to an SCN (System Change Number) Value. These are internally updated every 5 minutes. If operating within that window, query results may be inaccurate if using timestamps (use SCN's for increased accuracy). You must DISABLE/ENABLE the flashback mode before changing time windows. Only data state is affected. Any table that has had a DDL change will reflect the most recent state of the table. You cannot use Flashback Query on V$ views, but you can use it on catalog tables like USER_TABLES. The SYS user cannot use DBMS_FLASHBACK but can use AS OF TIMESTAMP in a SELECT. DML or DDL operations cannot be performed in Flashback mode. Open a cursor, fetch the data, end the flashback session and manipulate the data or use INSERT INTO ... SELECT AS OF TIMESTAMP constructs. The undo_retention parameter is a target - it is not a guarantee of data availability. After that, let's create a table and load a little data and validate what we have. At the end of the inserts, we'll commit the changes, grab our current SCN and our current date and time. Next, we'll run an update where we "accidentally" update all the rows in the table to an incorrect value. We'll also grab a timestamp here. With that done, it's now time to check the table out with current values and values as they were at a specific SCN. The first way uses the DBMS_FLASHBACK package to view the data as it was at that first SCN we assigned to the variable :scn. Then, we do it again using SELECT ... AS OF SCN. For the next demo, we'll do effectively the same thing, using Timestamps instead of SCN's. I made sure to wait at least 5 minutes so that the internal SCN to TIMESTAMP mapping was updated correctly and we went and did round 2. Finally, there's another clause we can add to the SELECT statement to show what versions of a row may exist. You can specify SELECT ... VERSIONS BETWEEN. We start by updating one row of the table, getting the new times and SCN's and then running the queries. One of the important things to note here is that while you're in Flashback mode, no DML is allowed. One way to get around that is to use SELECT ... AS OF to create a temporary copy of the data you need and then work from there to correct it. From there you'd be able to compare current and old data and update accordingly as needed. For further information on Flashback Technology in Oracle Databases, be sure to check the Oracle Documentation. Next time, we'll dig a little deeper into the features added in Oracle 10g and later, specifically Flashback Table, Flashback Drop and Flashback Database.